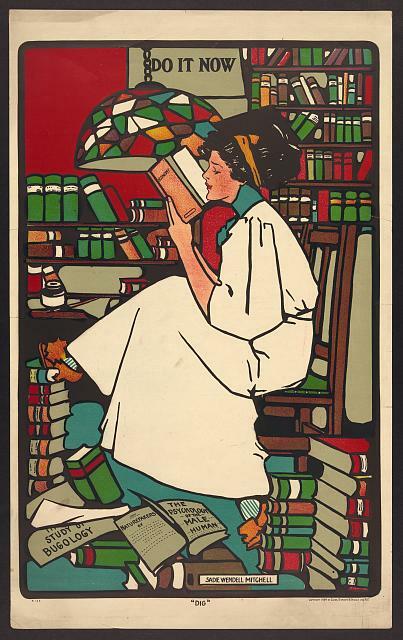 This WPA poster for the Illinois library system from the 1930s sent me on a search for “reading books” in the Prints & Photographs Online Catalog at the Library of Congress, the source for these images for which there are “no known restrictions” on use. 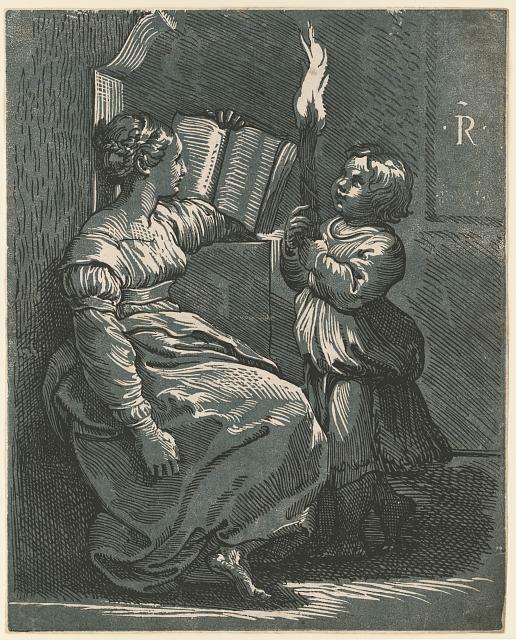 Chiaroscuro woodcut by Raphael, dated between 1500 and 1530, showing the Cumaean Sibyl reading a book by the light of a torch held by a child. 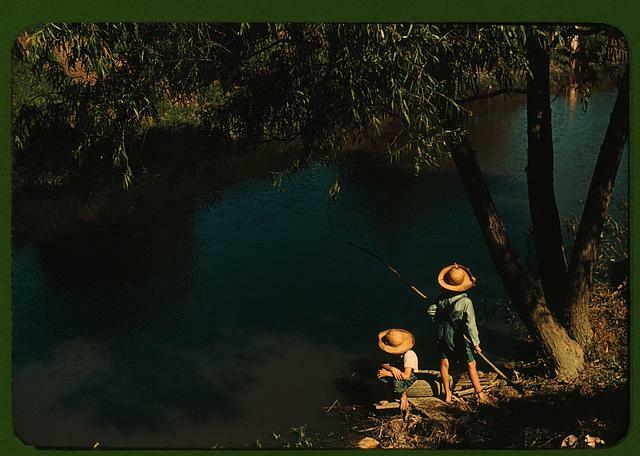 It seems like a good time to visit the Library of Congress’s American Memory Collection again, this time to sample some of the color transparencies produced by the photographers working for the Farm Security Administration or Office of War Information between 1939 and 1945 during the New Deal era (see previous post, Photographic Legacy of New Deal Stimulus Plan). 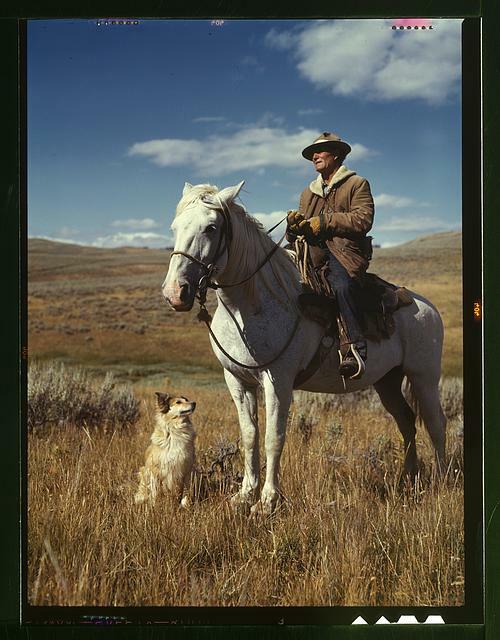 The Library of Congress estimates that while 164,000 black and white negatives (and 107,000 prints) from this effort are in its collection, there are just 1600 color images (only a selection are digitized). 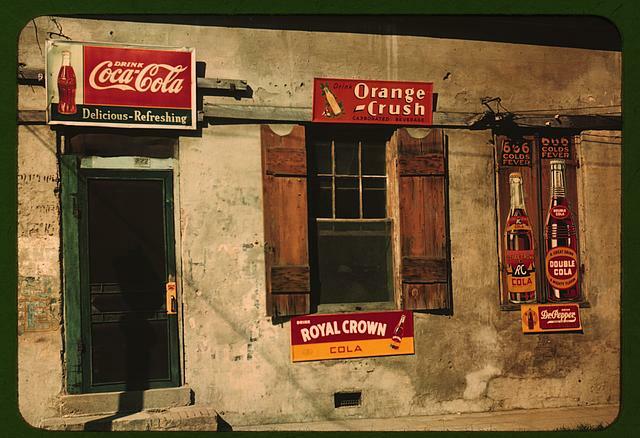 There are 1, 610 color images in the collection which date from between 1939 and 1945. They were produced under the auspices of the Farm Security Administration (FSA) and the Office of War Information (OWI). 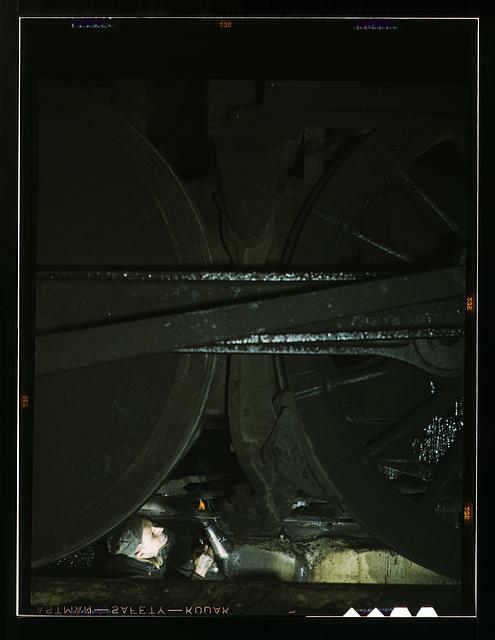 Most of the 644 images produced by the FSA are 35 mm Kodachrome slides; a few are color transparencies in sizes up to 4×5 inches. 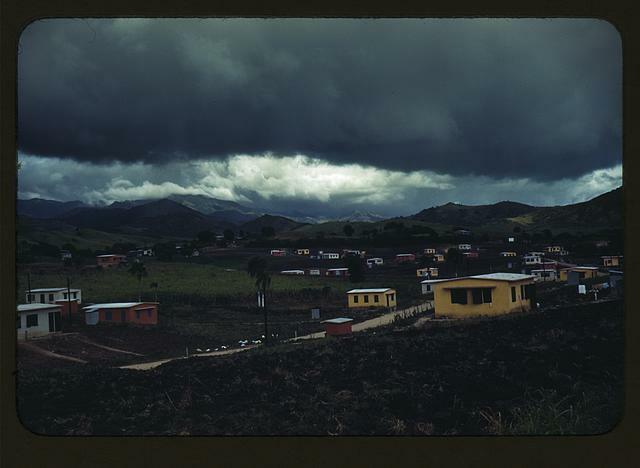 These photographs depict life in the United States, including Puerto Rico and the Virgin Islands, with an emphasis on rural areas and farm labor. The 965 images from the OWI are color transparencies in sizes up to 4×5 inches. These photographs focus on industrial facilities and women employees, railroads, aviation training, and other aspects of the mobilization effort for World War II. 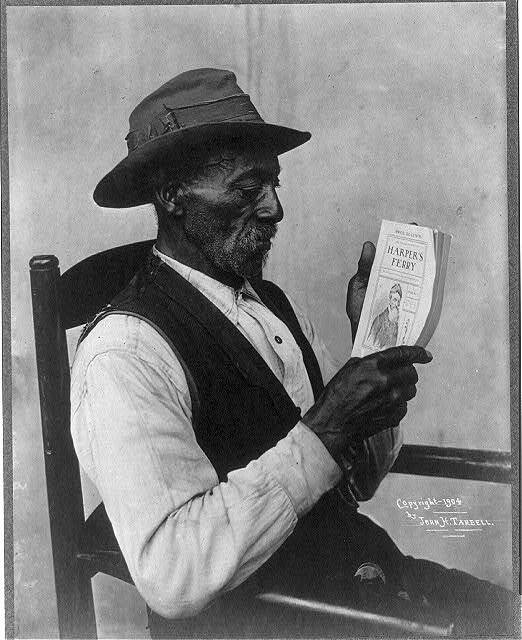 All images courtesy of the Library of Congress’s American Memory Collection. 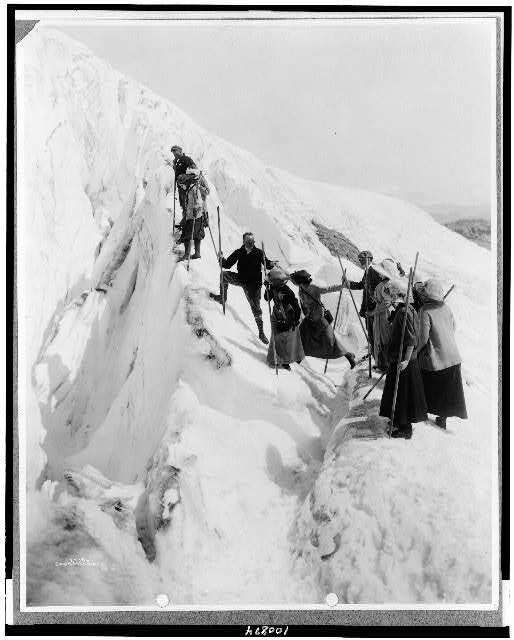 Digital IDs and photographers’ names accompany photos’ captions. 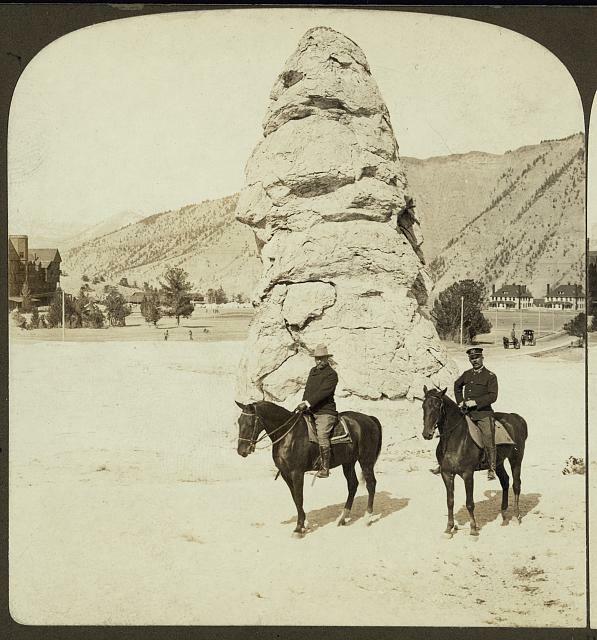 Here are a few images of several Western National Parks dating from the late 19th and early 20th centuries, all courtesy of the Library of Congress’s Prints and Photographs Online Catalog. Digital catalog numbers are listed at the bottom of this post. 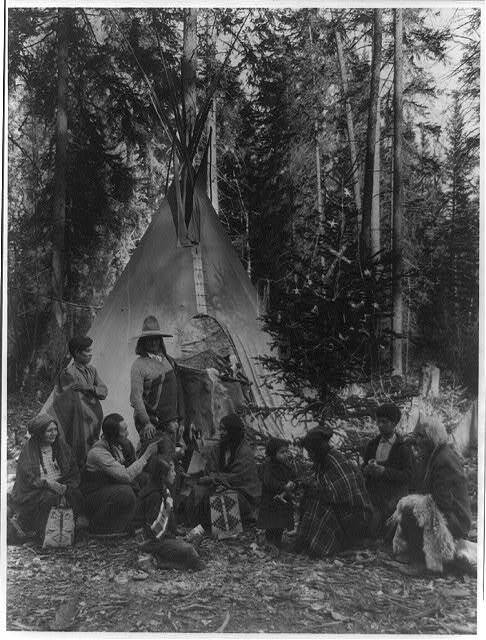 I don’t know what to make of this caption from the Library of Congress’s bibliographic record, or, more to the point, what to make of that Christmas tree amid all the splendor of the trees surrounding it: “Flathead Indians holding pre-Christmas family gatherings on the west side of Glacier National Park, in the dense forest of evergreen trees that skirt the Rocky Mountains.” Don’t the people look a bit underdressed for December in the Rocky Mountains? 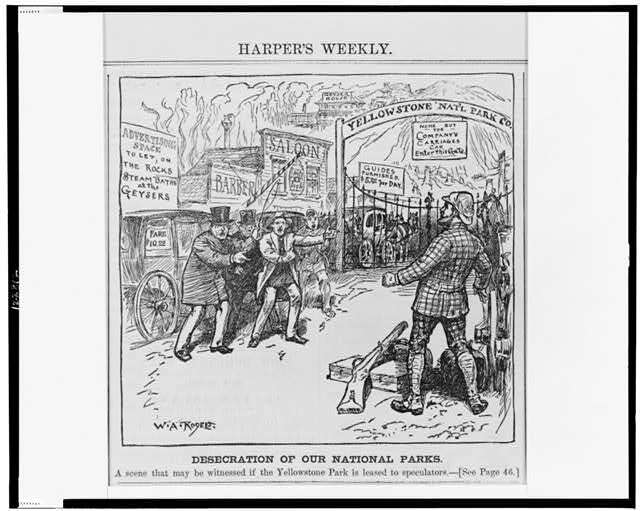 “Desecration of our national parks–A scene that may be witnessed if the Yellowstone Park is leased to speculators.” This illustration by W.A. 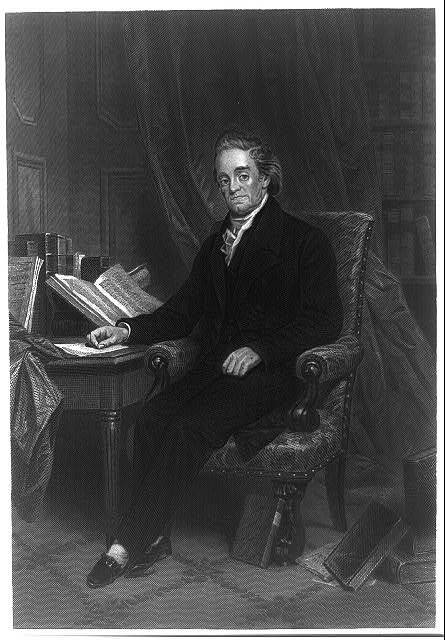 Rogers appeared in the Jan. 20, 1883 issue of Harper’s Weekly. These first two murals can be found at A New Deal for the Arts, an online exhibit at the National Archives. History of Southern Illinois. 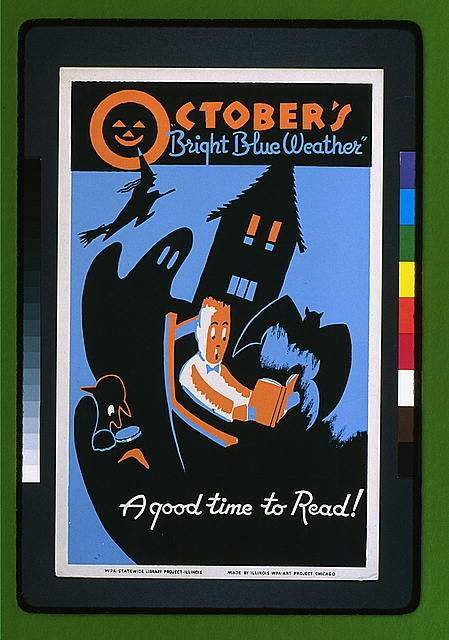 By Paul Kelpe, Illinois Federal Art Project, WPA, ca. 1935-39 Gouache. Dozens of the 2,500 or so murals executed under the auspices of the Federal At Project and Works Progress Administration can be found online. Now you know if you’ve followed this blog that I have been careful to make sure that those images I present as public domain are from sites where their status is unambiguously presented and no permission is required for personal, educational, and research purposes, or for commercial ones, which is in fact what public domain is all about. My understanding is that a work is either in the public domain, or it is not. It is not in the public domain for some purposes and not in the public domain for others. Consider the absence of qualifications in this definition from “Glossary of Intellectual Property Terms,” taken from the U.S. Department of State publication, “Focus on Intellectual Property Rights,” as posted on America.gov. PUBLIC DOMAIN [general intellectual property]. The status of an invention, creative work, and commercial symbol that is not protected by any form of intellectual property law. 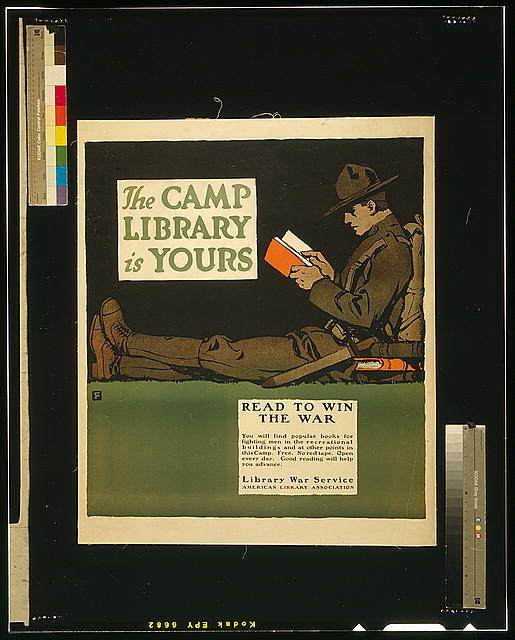 Items in the public domain are available for free copying and use by anyone. I can’t see how WPA murals can be anything but public domain. But I found myself up against a complication here. Simply digitizing a photo adds nothing to it, but taking a photo of a mural, while adding nothing new, does take skill, so there may well be a good argument that although the subject of the photo–the mural– is in the public domain, the photo itself should not be so considered. Fair enough, unless the mural was photographed by a Federal employee during work hours. Then it seems to me that the image should be in the public domain. Materials on this site may be used without permission for educational, non-commercial purposes, such as classroom distribution, student reports, etc. However, credit should be given to the New Deal Network. Lesson plans may be used without permission. with the assistance of IBM, Marist College, and the Franklin D. Roosevelt Presidential Library, and continued its development in cooperation with the Institute for Learning Technologies at Columbia University from 1997 to 2001. 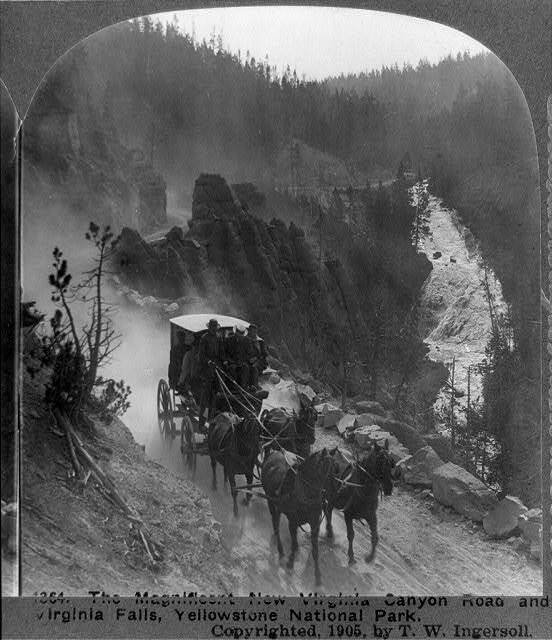 NDN was developed with a grant from the NEH. So it isn’t entirely federally funded. Permission is NOT required to use photos or documents for educational purposes such as classroom distribution, school reports and projects, etc. The Franklin and Eleanor Roosevelt Institute does not hold copyrights on any of the materials from other sources republished on the New Deal Network website; therefore we cannot grant permission to use these materials. 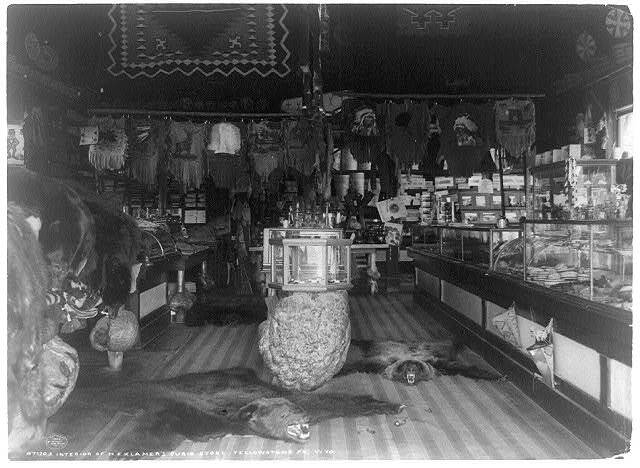 In cases where the items are copyrighted and the NDN received permission to use them, there will be a copyright or permissions statement indicating the copyright holder. In those instances, to obtain permission to reprint the materials, please contact the copyright holder listed. If no such copyright holder is noted the item is most likely in the public domain, but we cannot guarantee that. It is the responsibility of the user to research the copyright status of the item. Please contact the listed Publisher or Owner of the item to obtain copyright information. What I don’t understand is why, when the source for an image of a WPA mural on NDN is identified as the National Archives, and the National Archives identifies an image of a comparable WPA mural as having no use restrictions, the same status doesn’t apply over at NDN. Use of this Image: Permission is not required to copy or print this image for personal or educational use such as school projects, classroom distribution, etc. 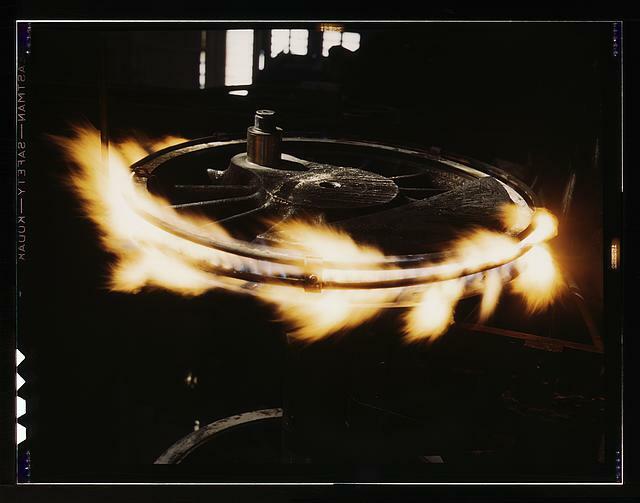 Click here to request permission to reprint this image in a commercial book, publication, or website, or for other commercial uses such as advertising or exhibits, or to request information on ordering a print. More views of New Orleans from the Library of Congress. Credits below. The old Ursuline convent, interior and upper story,and Spanish moss. Photographed in the 1920s by Arnold Genthe. But who was this mother? In fact, in 1936 she was Florence Owens. It wasn’t until after WWII that she remarried and became Florence Thompson. 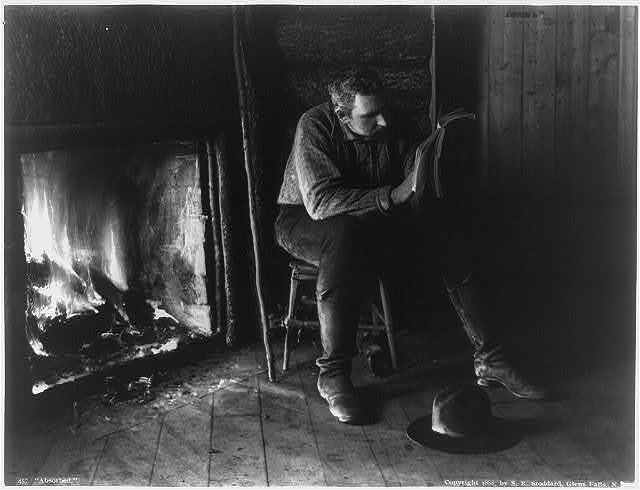 Lange, indeed, sent the photos to the Resettlement Administration in Washington, where the photos had an immediate impact on federal bureaucrats, who quickly rushed 20,000 pounds of food supplies to pea-picker camp in Nipomo. Florence and children, and her partner, Joe Hill, father of Norma Lee, infant in the pictures, were already out of the area. Florence was from Oklahoma, but she first left the state in 1926. Florence Leona Christie [b. Sept. 1, 1903] was a full blooded Cherokee, which means that her ancestors were in Oklahoma not by choice but because of the forced migrations from their homelands along what came to be known as the Trail of Tears to the Oklahoma Territory. She first arrived in California with husband Cleo Owens. When he died of TB in 1931, she had five children and was three months pregnant with her sixth (Katherine). Two years later when she was pregnant by a man whose family she feared would take their son’s child from her, she went home to Oklahoma. 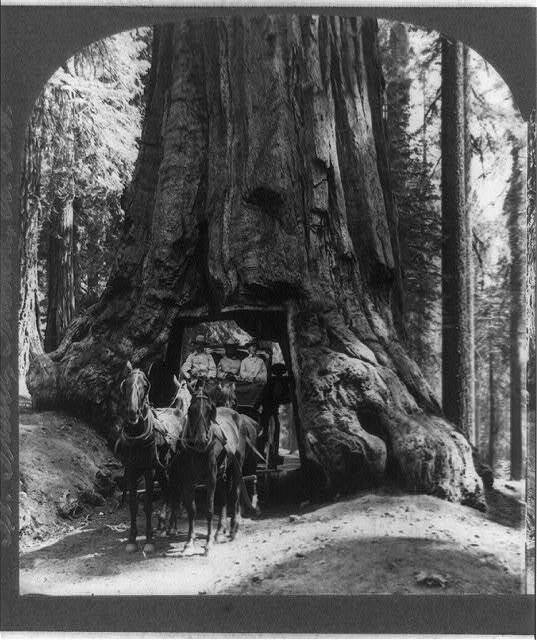 In 1937 she returned with members of her extended family to California, and became involved with Hill. 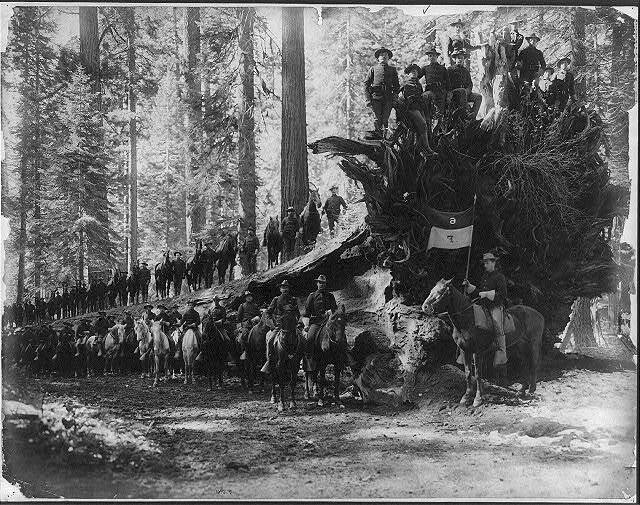 Lange’s pictures temporarily eased the sufferings of the stranded and starving migrants at the Nipomo camp. Many years later, finally, Florence saw some small profit from her portrait. In 1983, sick with cancer, Florence had a stroke which left her in need of constant nursing attention. This $1400 a week care was more than her chidren could afford. The story Foley filed for the Mercury generated national attention. More than $35,000 poured into a special Migrant Mother Fund administered by Hospice Caring Project of Santa Cruz County, much of it coming in the form of rumpled dollar bills. The contributions came in from all over the country. Nacaodoches, Texas. Russellville, Ark. New York City. Los Angeles. 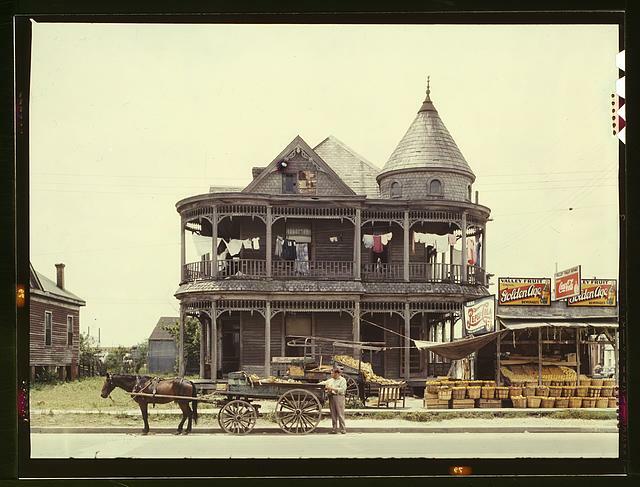 But a good many of them came from the farm towns of the San Joaquin Valley that Florence Thompson called home for most her life–Fresno, Wasco, Tulare, Selma, Visalia. “The famous picture of your mother for years gave me great strength, pride and dignity–only because she exuded those qualities so,” wrote a woman from Santa Clara. “Enclosed is a check for $10 to assist the woman whose face gave and still gives eloquent expression to the need our country still has not met,” expressed an anonymous note from New York. . . . In all, nearly 2,000 letters arrived, and the overwhelming response forced the Owens-Hill children to reconsider Lange’s portrait of their mother in a new light.
. . . On Sept. 16, 1983, a few weeks past her 80th birthday, Florence Thompson died at her son’s home. Another source of information about Florence is her grandson Roger Sprague’s website, Migrant Grandson, the Library of Congress’s overview, and the Art Department of the Oakland Museum of California, which has the largest collection of Dorothea Lange’s work (her work for the government represents only four years of a career in photography spanning from 1918 to 1965, most of which, of course, is not in the public domain). Persons in picture (left to right) are: Viola (Pete) in rocker age 14, standing inside tent Ruby age 5, Katherine age 4, seated on box Florence age 32 and infant Norma age 1 year being held by Florence. Second of six (6) photographs taken by Dorthea Lange on March 9, 1936 at Nipomo, California. Pete has moved inside the tent, and away from Lange, in hopes her photo can not be taken. Katherine stands next to her mother. Florence is talking to Ruby, who is hiding behind her mother, as Lange took the picture.